I'm trying to install an M.2 NVMe SSD (XPG SX6000 256GB) into the Lenovo V330 15IKB, and it isn't recognized at all. I tested a Samsung PM951 256GB and it recognized it just fine. I also tested the XPG in another laptop and it worked as well. The PM951 and SX6000 should be identical in terms of type and protocols. Anyone have any idea what's going on? I am currently attempting to update the BIOS to 35 from 30, but I doubt that will accomplish anything. I will update here if it does. EDIT: BIOS update did not help, the XPG SX6000 is still not recognized. Your PCIe is 3.0 x4. Your XPG is 3.0 x2. Your PM951 is a 3.0 x4. Someone else could state if 3.0 x2 will run in a 3.0 x4 slot. As far as I know, it should. 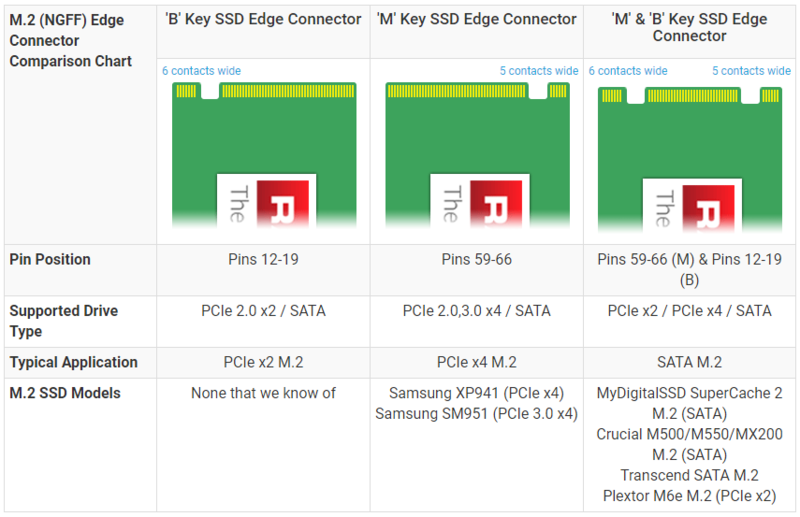 I did think of that, but a PCIe x4 card can be used in a PCIe x16 slot. This shouldn't be any different, should it? Yes,a PCI/e x4 card can be used in a PCIe x16 slot. It will use 4 lanes of the 16. X2 cards and X4 cards are KEYED different. Not to mention I am using the 512GB version on my own desktop which has the Asus X99 Deluxe U3.1 (M key as well). And I used the 256GB version a bunch of times on other machines including the Y520. This is my first time with the V330, however. It seems like all the options listed here are gen3x4 or SATA, but it's insane to think a motherboard would support x4 and not x2, or is that just me?